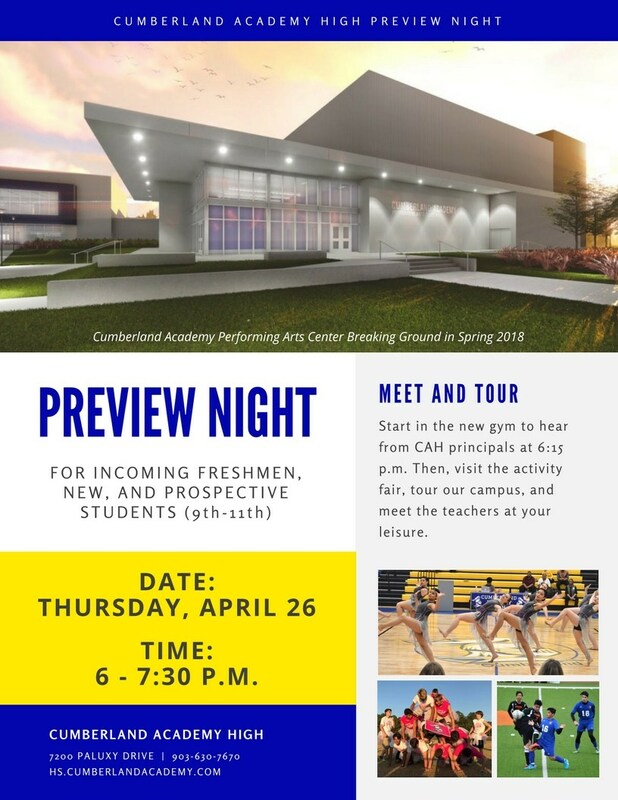 If your child is newly enrolled at Cumberland Academy High for the 2018-2019 school year or you're considering CAH for your student, please make plans to attend Preview Night! CAH principals, Mr. Blair (9th and 10th campus) and Dr. Morris (11th and 12th campus) will greet you at 6:15 p.m. in the new gym. Then, the rest of the evening is yours to tour the campus, check out extra-curriculars and student organizations at the activity fair, and meet the teachers in their classrooms.